Last November saw the launch of a very successful Greenkeeping machinery workshop in Kenya. Our distributor in the region for the past 21 years, Sunny Thethy of Kibo Sports organised the event on behalf of The R&A. This initiative was conceived some eleven months prior to the event and involved much collaboration between Sunny, Steve Isaac, The R&A’s Director of Golf Course Management and his Project Co-ordinator for The R&A Greenkeeping Machinery Programme, Wendy Cole. The two-day event was held at the Sigona Golf Club in Nairobi and attracted over 120 delegates from across Africa, with representatives from golf clubs in Kenya, Burundi, Nigeria, Rwanda, Tanzania and Uganda. It was the first ever R&A Greenkeeping Workshop in Africa and is part of the organisation’s Greenkeeping Machinery Programme (GMP), which was established in 2004 to provide support to golf facilities across the globe. Having identified that a lack of equipment in developing golf nations can restrict many courses from maintaining good playing surfaces, The R&A set up the GMP to provide machinery free of charge to those most in need. Totally funded from the profits generated by The British Open, the programme provides a range of equipment from turf equipment manufacturers, Ransomes Jacobsen and SISIS. Successful applicants for funding from the GMP have access to Ransomes 5-gang trailed fairway mowers and 3-gang trailed fairway and rough mowers, Ransomes Certes pedestrian greens mowers together with pedestrian scarifiers and aerators from SISIS. Since the programme’s inception, The R&A has supported over 140 golf clubs from more than 40 different countries, equating to an investment of over £1.7 million. This is made possible by the continuing success of The Open Championship and The R&A’s reinvestment in the sport through its ‘Working for Golf’ programme. 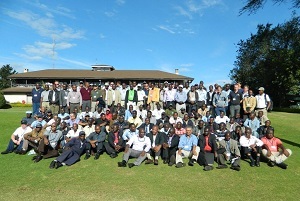 Steve Isaac hosted the workshop, which had as its prime purpose to provide East African greenkeepers with education opportunities. The training itinerary included classroom-based theory sessions and practical demonstration and hands-on training out on the golf course. Dr Paul Miller from SRUC Elmwood spoke about greenkeeper training opportunities, both in Africa and through distance learning programmes. Theory sessions on turf management for golf courses were delivered by Derek Daly, Director of Education at the Silver Lakes Academy in South Africa. These were supported by practical demonstrations of machinery by representatives from the manufacturers, which proved to be extremely popular. 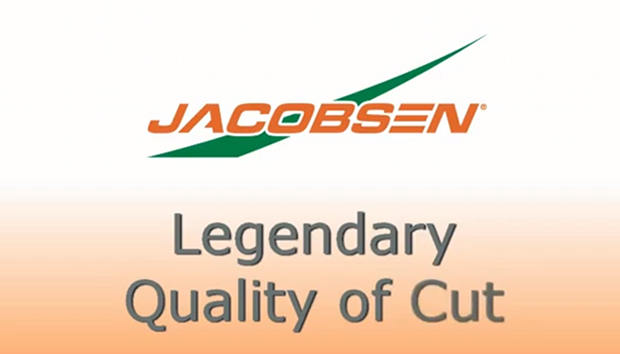 Nigel Church, of Ransomes Jacobsen’s Cutting Edge Training division, was present to demonstrate the company’s products. Commenting after the event he said, “This was a fantastic event and The R&A should be delighted with its success. Bringing education to the greenkeeping community across the globe is entrenched in the ethos of our business and we were delighted to take part. Also back in 2004, The R&A founded the Greenkeeping Scholarship Programme to provide support to students enrolled in turf management higher education, with funds provided by The R&A Foundation. Working closely with its two selected education providers, Myerscough College in England and SRUC Elmwood in Scotland, The R&A identifies the most deserving students to receive scholarships each year. In addition to the direct financial assistance which is available to appointed scholars, those selected also gain access to a number of exclusive networking and continuing professional development opportunities which further enhance industry exposure and employability. Since the programme’s inception, The R&A has supported over 200 scholars from more than 20 different countries, equating to an investment of over £800,000. Two former scholars, Derek Daly, as mentioned earlier, the Director of Education at the Silver Lakes Academy and Neville Wenhold, formerly the Superintendent at the Gary Player Country Club in Sun City, South Africa and currently Grow-in Superintendent at Dubai Hills, supported the Greenkeeping Workshop. Daly in a lecturing capacity and Wenhold, who was unable to attend as he was preparing the Gary Player course for the Nedbank Challenge, provided an excellent video showing the preparations for the tournament. The visit to Kenya also provided The R&A’s Steve Isaac with an opportunity to present donations of greenkeeping machinery to Njoro, Kitale, Limuru, Kiambu and Railway Golf Clubs. Kibo Sports, who operate the dealership for Ransomes Jacobsen, Redexim and SISIS in East Africa, supply the machinery provided by The R&A’s programme. The Chairman of the Kenya Golf Union, Peter Warui, noted with great appreciation the support given by The R&A and its business partners, for golf development in Kenya and wider Africa. “The R&A has been a great friend of golf in Africa and we look forward to developing an even closer partnership with them to progress development of the sport and, in particular, greenkeeper training and education,” he said. Situated in a residential suburb, north of the creek that separates the island of Mombasa from the mainland, Nyali Golf and Country Club is a typical recipient of machinery from the programme. The 18-hole course sits in 150 acres of estate that once produced sisal for rope and twine production. The introduction of a top class irrigation system has ensured healthy conditions with flowering trees, such as the Madagascan Flame Tree bordering many of the fairways. The final words are those of Peter Dawson, who will soon be relinquishing his post as Chief Executive of The R&A, “Across the 16,000 individual golf courses within The R&A’s global jurisdiction outside of the United States and Mexico, there is enormous variation in the availability of management resources. As part of the wider operation under our ‘Working for Golf’ programme, we are committed to enhancing the capacity of these facilities to develop and maintain good playing surfaces. “This is achieved primarily through our advocacy of sustainable management. For some, however, the key limiting factor is a simple lack of suitable machinery with which to maintain the golf course. Through working with a global supplier, we have been able to assist over 140 individual facilities in 41 countries by providing greenkeeping machinery, free of charge, to those most in need.